NEW YORK, September 30, 2018 -- Sidify Inc. officially announced its featured streaming music converters, including Spotify Music Converter and Apple Music Converter for Mac, now are fully compatible with the newly released macOS 10.14 Mojave. These two music converts have been specifically tested under the newly updated system, so users can feel assured to convert Spotify music, Apple Music, iTunes M4P music or iTunes, Audible audiobook to MP3, AAC, FLAC or WAV formats on their macOS 10.14 Mojave machine. 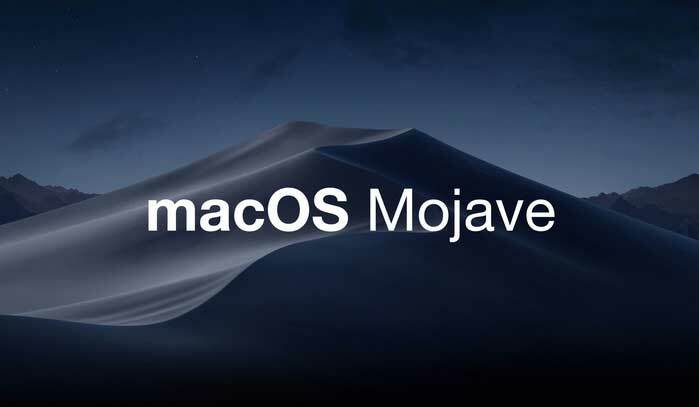 On September 24, 2018, Apple released the latest version of its desktop system - macOS Mojave, and it was available as a free software update for Mac users. macOS Mojave comes with a number of new features like Dark Mode, Stacks, Dynamic Desktop, and etc. And after this new operating system introduced to public, Sidify development team quickly tested these 2 programs under macOS 10.14 Mojave, and happy to announce that Sidify Music Converter for Spotify and Sidify Apple Music Converter are fully compatible with macOS 10.14 Mojave. Users can use these two streaming music converters without any problem. Sidify Music Converter for Spotify is a popular Spotify Music Converter for Mac and Windows users. It is capable of removing DRM from Spotify music and converting Spotify music, playlist and podcast to MP3, AAC, WAV or FLAC format at fast speed without sacrificing any of original sound quality. With it's intuitive and clean user interface, users can easily convert Spotify music, playlist and podcast to plain formats with keeping title, artwork, artist, album, track number for better organizing music library. What's more, it also supports burning Spotify music to CDs directly and share to others with Email. Sidify Apple Music Converter is a well-designed audio converter for iTunes music for Mac and Windows users. It enables users to remove DRM from Apple Music songs and save Apple Music songs as MP3, AAC, FLAC or WAV to local computers or various music players. Besides, Sidify Apple Music Converter also supports to convert iTunes M4P music, iTunes M4A, M4B, Audible AA, AAX audiobooks to MP3, AAC, FLAC or WAV format. Sidify Apple Music Converter, allows users to alter the conversion speed up to 20X. What's more, ID3 tags such as track's title, artist, album, cover, and duration are preserved after conversion. Sidify Inc. is an international software provide which is continuously dedicated to creating and developing multi-media related software products and services, and has extended its business worldwide for many years. The major products including Sidify Music Converter for Spotify and Sidify Apple Music Converter gain the popularity among the majority of users all around the world. The company insists the principle of quality and user first to provide the best products and customer services.